High-efficiency Brushless motor provides higher power and more work amount. - Compact and lightweight design. - Automatic speed control : Automatically changes the cutting speed according to load condition for an optimum operation. - Blower function blows sawdust off the cut line ahead for a better cutting view. - Electric Brake, Built-In Job Light, Dust Collecting, Soft Start and Carry Case. - Battery and charger sold separately. 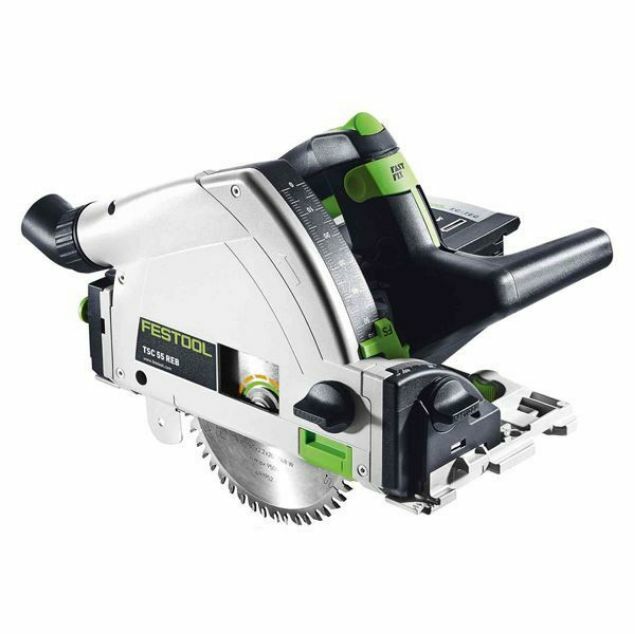 Circular saw with extra-high power that is as close to the power of AC models as possible. Outstanding performance with two 18V Li-Ion batteries in series. Uses durable but light magnesium die-cast for blade case and safety cover. Lightweight design. Electric Brake, Soft Start and Dust Collecting Tool does not come with batteries and charger. The Makita DSP600ZJ LXT Brushless Plunge Saw is powered by two 18 volt Li-ion batteries which transfer energy to the powerful 36 volt DC motor drive system. Using Automatic Torque Drive Technology, this saw can automatically change cutting speeds according to working conditions for prime excision. Speed can also be controlled by adjusting the dial. This product also features a Brushless motor, death stopper for splinter free cutting, Bevels -1 to 48 degrees, Positive stop for bevel adjustment and compatibility with a guide rail. Completely cord free and using the latest soft start technology, this Makita Plunge Saw is easy to use with minimal start-up shock and smooth splinter free cutting.